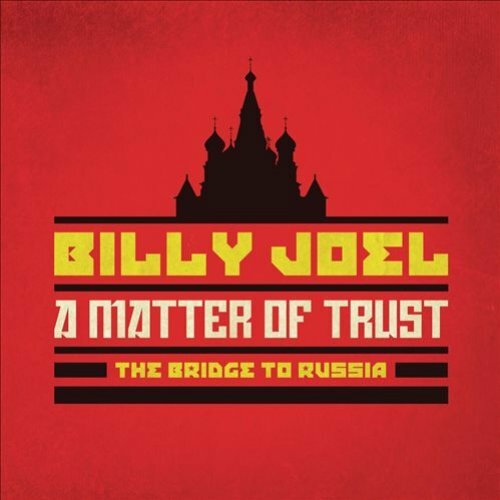 Billy plays guitar on "A Matter of Trust" in Russia, from 1987 ( From Vimeo). Another similar version with lyrics and Spanish subtitles is here. © 1987 Sony Music Entertainment. Watch more videos on BillyJoel.com, Sony MyPlay or Vevo'. Download "A Matter of Trust"
The song emphasizes the importance of trust in a relationship, and that having trust is essential to a long-lasting relationship even more so than passion or control. This is a song about real love, and what it takes to have a strong loving relationship -- trust. This is not simply trust in the sense of sexual fidelity, but trust that your partner has your interests at heart, that you are a couple together, a single unit, rather than two people living under the same roof. Thematically, this could have been a companion song or follow-up to 52nd Street's "Honesty" or to "An Innocent Man" from Billy's album of the same title. The music video for the song is sort of a live-action performance. Billy and his band are in what looks like a sub-ground floor apartment in Brooklyn, in the middle of summer, They start performing the song, but it is too hot, so they stop and open up the doors and windows. Soon, a large crowd gathers outside the apartment and cheers them on, it is reminiscent of The Beatles rooftop concert in 1969. Official music video for "A Matter of Trust."